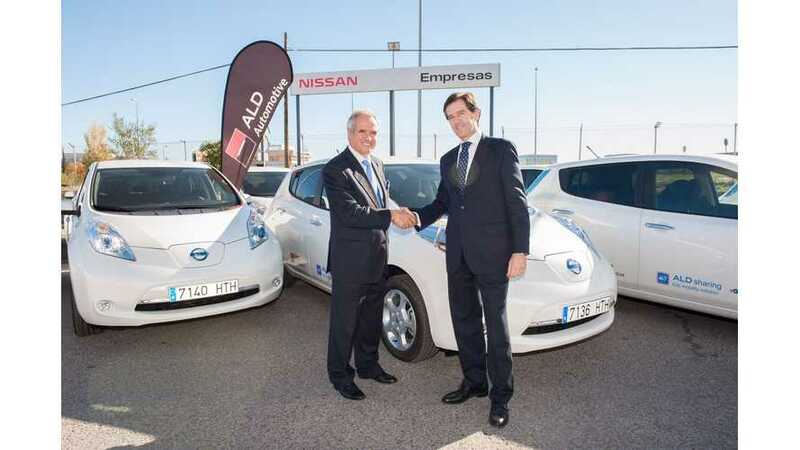 Nissan announced that in Madrid and Barcelona, Spain, ALD Automotive is launching a car sharing initiative using LEAF electric cars to allow more drivers to experience electric mobility. 23 LEAFs will be available for sample "by the hour, or longer". All drivers need to complete transaction is a mobile phone, without the need to visit rental company's office. "With this delivery of 23 Nissan electric vehicles we are kicking off a service which is designed to maximise the use of EVs by businesses and which reflects our commitment to environmental stewardship." "Nissan's zero-emission mobility project is being built with transactions like the one we have signed with ALD Automotive. By adding Nissan LEAF to its fleet, it helps reduce emissions and noise pollution in cities and also introduces electric vehicles to new customers." Similar schemes were also launched previously in Germany (from November 2012 in Essen as part of the Ruhr Auto Project) and in Estonia (from July 2013 in Tallin and Tartu by Estonian Governmental foundation Kredex in partnership with ELMO Rental). But in Germany, there were just 5 LEAFs out of 40 EVs and in Estonia 16 LEAFs out of 24 EVs. "Nissan has supported us from the very beginning. It has provided five Nissan LEAFs about which our users are always full of praise. More recently it donated one of its quick chargers (QC) to reduce the time it takes to recharge the cars' batteries. It takes immense courage be the first to choose another route in the field of mobility; Nissan has shown this courage." According to the press release, in Estonia, the price for first hour was set at €6 and €3 for every subsequent, but no more then €30 a day. The big plus is unlimited access to the Estonian QC network, which is one of the densest in the world. "Everything was much smoother than I thought it would be; opening the doors with a phone is an innovative and practical solution as one does not need to depend on anyone or wait until keys are delivered. As I am a huge fan of electric cars, I will definitely use ELMO Rental in the future." 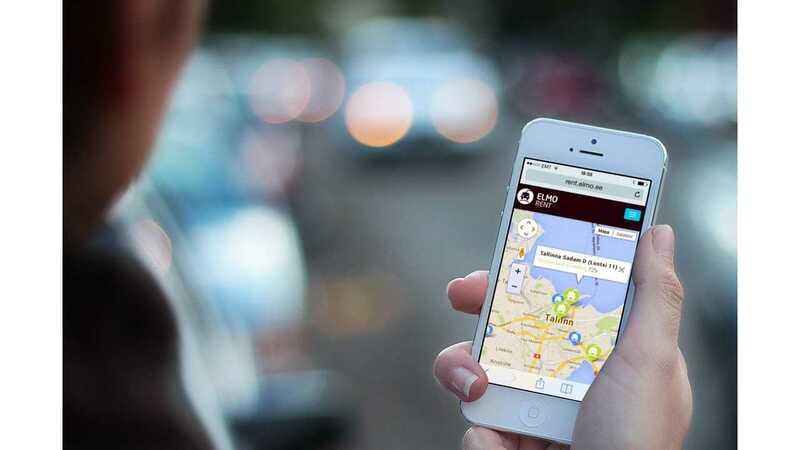 "Car sharing is a growing and important part of mobility for the millions of people in Europe who do not own a car, as well as for drivers who want to use a different vehicle to their regular car". "We believe electric cars like the Nissan LEAF will be a big part of these schemes thanks to their zero emissions, low fuel costs and ease of driving which make them very accessible for occasional drivers. We know from our own experience with the Nissan LEAF that once people have driven an electric vehicle they are convinced they will have an important role in making cities cleaner and quieter in the future." EV sales in Spain, which was one of the first markets for LEAF in Europe, didn't take off, but the whole country is deep in recession. 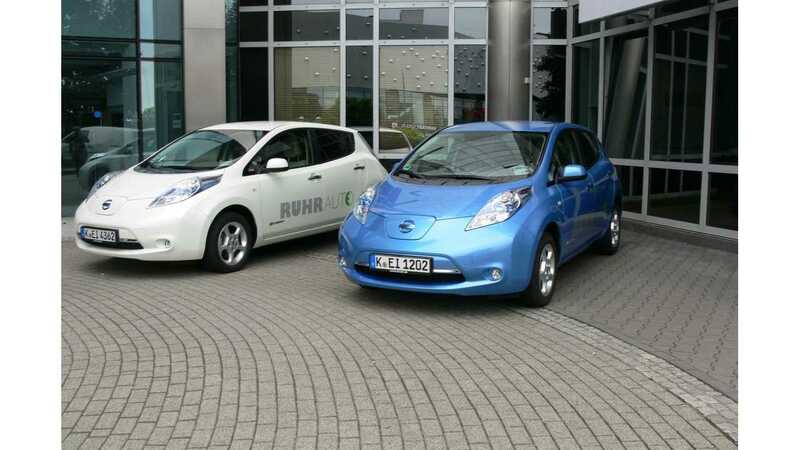 In November, Nissan sold just 10 LEAFs in Spain and 262 in the whole 2013.